The 15th Hong Kong Electronics Fair (Spring Edition), are being organized by the HKTDC held at the Hong Kong Convention and Exhibition Centre. 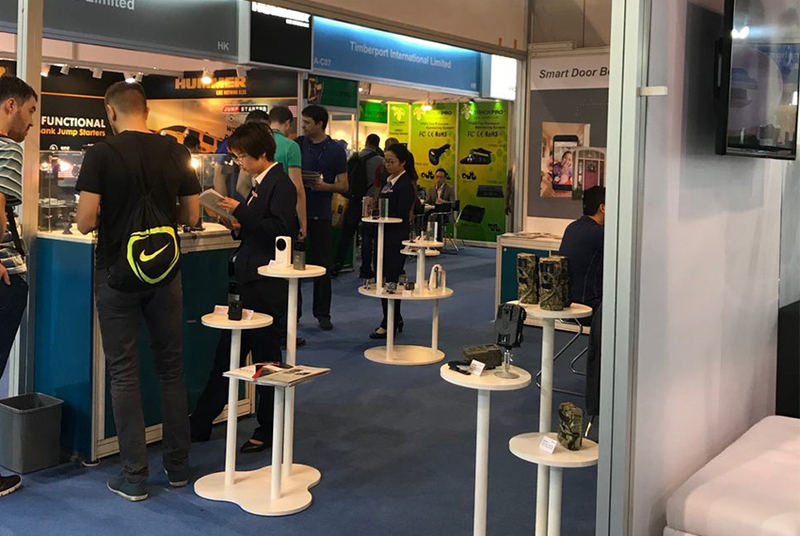 More than 3,500 exhibitors from 25 countries and regions are showcasing an assortment of cutting-edge technologies and smart products at the fairs. The four-day fairs (13 to 16 April) welcomed more than 66,000 buyers from 138 countries and regions, an increase of 5% over the previous year. The number of buyers from mature markets such as Japan and Korea recorded growth, while buyers from emerging markets including the Chinese mainland, Brazil, India and Russia recorded a double-digit percentage increase. 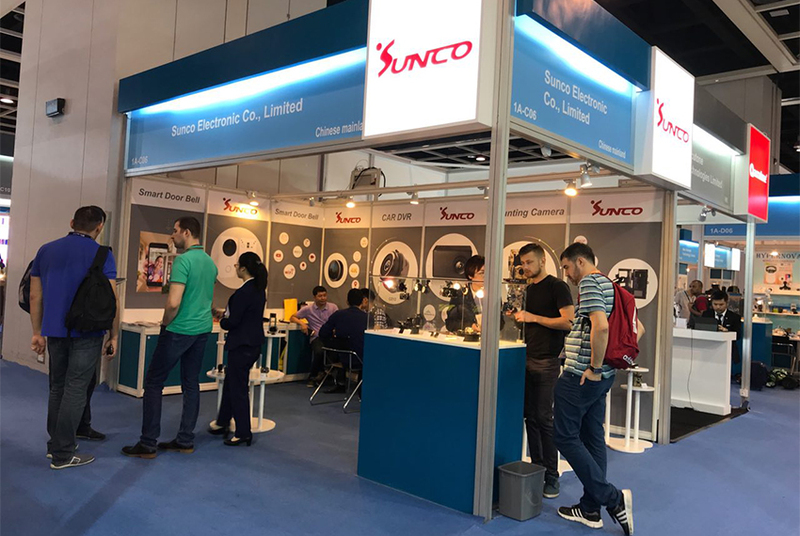 Having worked in imaging field for more than 9 years, Sunco has exhibited some innovative products as always. New products---Real 4K*60fps action camera, Dash camera, hunting camera and IP camera are quite sparkling on the fair. Among them, real 4K*60fps action camera with touch screen and private tooling, private dash camera and hunting camera have received quite positive feedback because of unique design and operation functionality. The self-developed BT voice controller and App “GoAction” for wifi camera, compatible with Ambarella/ Novatek/ Sunplus/ Allwinner solutions, still attracts many potential buyers. 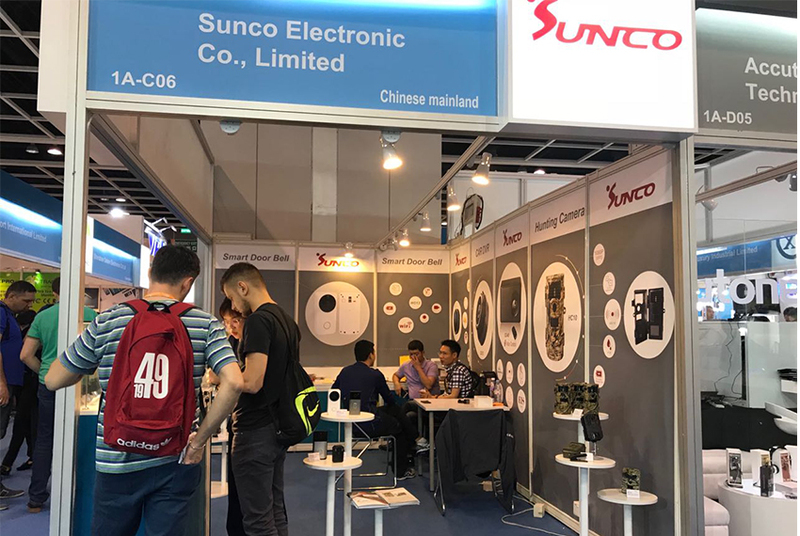 The Hong Kong Electronics Fair proves to be a huge success to Sunco. As a R&D high tech company, Sunco will keep providing innovative products with QVQ service, Quality guarantee, Value share and Quick delivery.